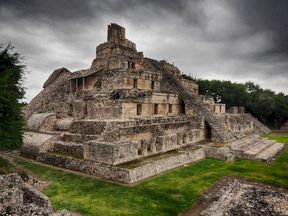 Edzná at one point was the largest and most important Maya city in what is now the Mexican state of Campeche, home to thousands and covering some 26 square km. Today it’s an eye-catching site, and an easy day trip from the city of Campeche (more properly, San Francisco de Campeche). A Photographer’s Guide to Edzná is a comprehensive guide to the ruins, with an eye toward making the photographs you take there the very best they can be. This eBook will cost $3.99 and is coming soon for Kindle, Apple devices, Nook, and via Smashwords for all other devices.